Inspired by the character in Lord of the Ring movie. 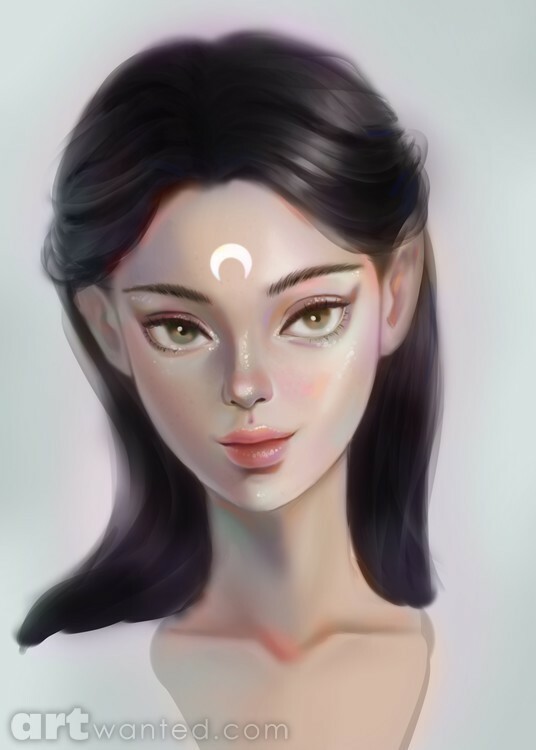 I like to create an image of a fairy in dark hair and eyes. High-resolution file in JPEG or PNG. No commercial purpose.